Yes, honing your writing skill is important. Spending numerous hours perfecting great content is praiseworthy, but drawing people to read that content is where a captivating blog post title comes in handy. Let’s face it people like to judge and they definitely judge a blog post by its title. Creative titles will surely motivate people to view and read your article. You must construct a title will catch people’s attention. A post title should reflect your content. If you promise to show pictures or a slideshow, do not bombard your audience with long paragraphs and lengthy words. They clicked your article because they see that you have included a visual. Do not post something that you cannot deliver. Unique titles tend to get the most clicks. Readers do not have all day to go through and analyze your title. The title should give them an idea on what to expect on your blog post. Express what the article is about and get rid of the clutter. You should include catchy phrases like “Amazing _____ to Try Right Now”, “Epic Formula to ____”, or “How to ____ in 7 Easy Steps.” Do not be hesitant in adding a few “epic” or “amazing” from time to time. They make a massive difference so feel free to add color to your title. Be more creative! Keep it short, but also very descriptive. Make sure titles are beneficial and helpful to your target audience. When searching new information online, you would go for something easy to understand and at the same time conveys the best message. Do not give someone the wrong idea just to gain page clicks. You may get the clicks that you desire, but if you mislead, you will lose your credibility and it will surely tarnish your reputation. It will significantly hurt your blog in the future. No one would be clicking your next posts because they will think this is another one of your clickbait strategies. Titles that provoke strong emotions are not recommended. You could permanently lose your readers if you make them angry because of your wrong word choices. Craft a title that will make audiences respond to your article positively. “How to” is probably one of the most searched words in various search engines. People like to learn useful things that will make their lives easier. You may need to work on that template multiple times. But if you need more ideas, refer to them below. Superb Ways to ________ in Ten Minutes! In the end, your titles will either make or break your blog post. Being able to write effectively is as vital as any other skill that you want to expand. Learn from others and do a lot of testing. I am sure in no time you will get it right! You have your own creative outlet. You can publish the message you want and the way you want it. You set your own rules. There is nothing wrong on building an audience on social media sites like Facebook, Twitter, or Google+, but you do not own those names. Their respective companies do. You will not be at the mercy of these social media sites. You will not be influenced by the changes of their terms and conditions. Ten years from now, when they will be out of the picture, you will not worry on how you will get in touch with all your subscribers. It is a SECURE way of storing contacts. What if your website crashes or some vital information gets lost along the way? How can you reconnect to your audience? You do not own any of their contact details. They just happened to “like” your post or “followed” your page. When you have a mailing list, you can send them an email informing them of the new updates of your website. It will be a painless way to restore the website’s contacts and its affiliations at any given time. In times of crisis and emergencies, you can definitely trust emails. It is a place for SALES to begin. Personally, I do shop online and I prefer it than going to an actual store just to find out that they do not carry the item I am looking for. I subscribe to various mailing lists and it is a great way for me to get information on new products. From time to time, I get emails from BookDepository for example. They send me a list of new releases, bargain books, and even coupons that I can utilize on my next purchase. Emails are an effective way to convince your dedicated subscribers to come back and check the latest deals on your website. These clicks could mean sales. Let us say that you mostly relied on Facebook most of time, but you realized that your target market is not on Facebook anymore. They are now on Twitter and you wish to export your thousands of Facebook fans to Twitter followers. Of course, you cannot do that! All you can do is weep and regret that you invested all your effort in one place. With email, you can easily export your list and transfer to another service provider. It is easy for you to move, upgrade, and rebuild. No need to start from the very beginning and complicate your life! Mobile phones and tablets are important nowadays. Surely, you can recall the last time you held one in your hands. There is even a higher probability that you are viewing this article using your mobile right now. When you observe various people in a public place, they are most likely to be browsing the internet on their iPhone or Android mobile devices. A mobile website gives you an edge over your competitors because users do not have all day to read through your website. People are always on the go. They are on their phones while paying for their groceries, or while waiting in line for their anticipated movie. You have to grab their attention before they switch on to their social media accounts. For instance, there is someone browsing for the latest news about his favorite TV shows. One website is not mobile friendly and the other offers a simplified view of the same news. Of course, that person would go for the website that would not use a tiny font size, complex font types, lengthened design, and so on. It would take him a long time to browse and scroll through just one news article. Your goal is to keep him on your website long enough to find what he wants before he decides to close the browser. A desktop version of your website might take awhile to load and viewers will most likely leave your website if your content takes more than 10 seconds to load. People with mobile phones are skilled at multitasking. They will have multiple tabs on or even have multiple gadgets on simultaneously. As stated earlier, time is limited so speed is ultimately important. A mobile website will load quickly and users will be able to browse your website with ease. When your website is mobile-optimized, it is easier to navigate. Viewers will not constantly “pinch to zoom” for better text quality. They will find the website very readable and they can easily access the crucial information they want on your website. If they get distracted by a Facebook update or even a text message while browsing, it is still easy for them to pick up where they left off. A mobile website can be accessed anytime, anywhere even in places where the internet connectivity is weak. You can use this to your advantage by making your website more accessible. Users will always find ways to connect and get updated on the latest happenings. This level of constant quest for new information provides an unprecedented opportunity to connect with target audiences. Mobile website design is all about being useful to your customer now. They will definitely patronize what your products and services if there are fewer text boxes to fill out, store hours are legible, directions are clear, and contact information is strongly featured. They can also instantly review your products using their phones and that will definitely boost your business. Online business owners should have honest answers to some of these very important questions, particularly for those online business owners who have no idea what SEO (Search Engine Optimization) is. There are numerous benefits and advantages, which will result when online business website owners hire a professional SEO Service, like Linkhelpers. Reputable SEO companies, like Linkhelpers offers professional SEO, which will include ensuring that the online business website can be crawled, as part of the overall technical SEO campaign. One of the most frequent reasons for the failure of the search engine to crawl this is the result of broken links. The further one of the major search engine, including Bing, and especially Goggle, spider can crawl, the more webpages will be indexed, which will attract more potential customers. Optimizing any online business website correctly will ensure the partially sighted/blind online business website can use it is advisable. There is a greater opportunity of any online business website will work with all browsers to ensure that the maximum number of potential customers. This is the result of a properly optimized online business website that includes complete validation. The experience of the users has become ever-increasingly important in the major search engine ranking factor, and a properly optimized online business website will provide a better experience for the user because it will be easier to use. Another advantage of professional SEO services is that the online business is that is marketing the goods or services offered by the online business is available 24/7/365. An online business website that has been optimized properly will rank all day, every day, all throughout the year. An online business website can be known in tight local areas or for major large corporations using the same keywords or keyword phrases that are properly applied, which is also part of the SEO brand strategy. Online business owners can reduce load times and server stress. This will result retained potential customers, by validating code and optimization files, happier search engine spiders, and much quicker. However, the greatest advantage of professional SEO services is increased sales, a higher conversion rate of potential customers into paying customers, increased revenue, and increased profit for the online business owner. There are many ways to increase online business traffic, but these methods will not provide targeted traffic based on the online business keyword and key phrases but will do nothing to convert potential customers into paying customers, which SEO will when done properly. SEO is a specialized research-driven process of editing and analyzing an online business website so that it ranks on the first page of the major search engine results. When done properly, the SEO effort will target strategic keywords and key phrases that appeal to the online business’s target audiences. It doesn’t matter if the content is a message, mission, goods, or services, online SEO permits the online business owner that the business owner wants to promote. SEO offers advantages for nearly any kind of organization that is intent on reaching. SEO is a process that is focuses on connecting with the major groups of online business owners targeted markets who want to provide specifically intend to meet their requirements. It is one of the few marketing strategies that offer targeted audiences and are actively engaged in the process of seeking information about online businesses. The identity of any online business will become more associated with the mission of the online website and the primary focus of what that online business competencies are, by means of increased public exposure. The SEO process is constructed based on the online business website achieving its outreach and marketing objectives. Regardless of what they may be. It is very achievable to customize numerous targeted marketing campaigns with SEO. This means the online business owner can campaign to reach diverse audiences as the online business requirements evolve. SEO is also one of the few online marketing strategies that makes it easy to quantify the results of the online marketing strategies, such statistical results, and key indicators, such as by analyzing conversion rates for potential customers into paying customers. By targeting strategic keywords and key phrases that are appealing to an online business owner’s target audiences, SEO will permit the online business owner to be located in regional and global markets, who are searching the same goods or services that the online business has to offer. Basically, SEO will entice more potential customers to paying any online business website, convert more of those potential customers into paying customers, increase sales, revenue, and ultimately increased profit for the online business owner. As part of their marketing strategy, SEO (Search Engine Optimization) has become commonplace among large and small online business owners, and is widely adopted. The primary reason for this is that SEO is effective. Here are some of the other reasons that SEO is used by so many online business owners. Increased Traffic: Basically, the search engines, such as Googles Bing, and Yahoo, receive of these clicks, and therefore ranks the webpage higher than others. Increased traffic means increased revenue. SEO will also focus on creating keywords that have title tags, and meta descriptions, that are relevant that and informative. The results of these optimized elements include an increase in the business website qualified traffic and increase the click through rate, which will help the online business website to increase the qualified traffic online business web traffic. Cost effectiveness: In the online business world, SEO is one of the most cost-effective marketing strategies. The marketing strategy of cold calling has far exceeded its usefulness as the result of SEO’s inbound nature, which also helps businesses save money. The cold-calling strategies leads generate cost less than 61% than potential customers that are generated by an inbound online business marketing strategy such as SEO. Also, Linkhelpers SEO targets users who are actively searching goods and services. The result the traffic resulting from our SEO efforts are much more qualified than most other SEO companies, which results in a profile this results in a cost savings over the majority of other SEO companies. Increased usability: A properly optimized online business website will to offer a much more useful website that is easier to navigate for the major search engines, such as Google, Yahoo, and Bing. 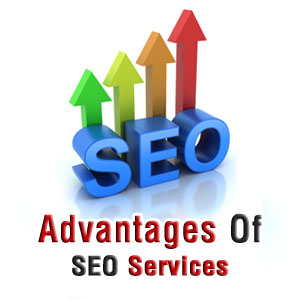 Simultaneously, SEO also makes the online business websites more navigable for potential customers. SEO consists of modifying the architecture for the online business website, which makes the online business website easier to scan, and navigate. The basic online potential customer types in what they are looking for but seldom look beyond the first webpage for the goods or services that they are looking for. Therefore, if the online business owner isn’t seen on the first webpage of the major engine’s results, potential customers will not even know that the online business owner’s website even exists. A reputable SEO company, such as Linkhelpers will guarantee positive results within a fixed period of time (usually six months). Done properly, SEO will increase the ranking of the online business website, increase the online website’s number of potential customers, increase the conversion rate of potential customers into paying customers, increase the gross income of the online business website, and basically, increase in the revenue for the owner of the online business website. SEO has a very high ROI. By using SEO on the business owner’s website, that business owner will notice the fact that those that observe certain keywords having greater conversion rates for which you rank only on page #2 on the major search engine, Google. While this may be encouraging, the fact is that money is being left on the table. Most of the clicks on a major online website, such as Yahoo, Bing, and especially Google, will increase the ranking the online business website in one of the top three places of the first page, as the result of properly done SEO. This offers, a large return on the least expensive investment into SEO. This is precisely the reason that SEO has been favored to real estate. When done properly the returns in SEO can be incredible. The potential customers online are the first point of the online business website. This can attract investors, or partners, new potential customers, qualify prospect customer customers and generate leads. With any kind of luck these compelling reasons have explained the benefits regarding the benefits and value of an integrated SEO strategy in ever-expanding online business that will increasing the number of potential customers, conversion of potential customers into paying customers, increase sales, revenue, and ultimately the profit for the online business owner. Sometimes lost in the maze of search engine optimization and keywords is the need to create quality marketing content. While most business owners understand their clientele, many don’t fully realize the value of savvy marketing or how to create content that generates revenue. Your website is the most valuable marketing tool in your arsenal. Have you developed content that specifically appeals to your market? There is only one way to measure the success of a business website – by the revenue it generates. SEO seeks to increase the amount of traffic to your website, but if the traffic isn’t being converted into sales then it’s time to focus on your market so that you can create appealing content that achieves this goal. This may seem obvious , but there is more to this question than meets the eye. You may already have a number of residential customers, but want to develop new web pages to attract commercial clients. Or perhaps you want to run a sales campaign for a new product or service that your competition has been offering for years. In situations such as these it’s important to understand the needs and desires of these new markets, so that your new content offers the information they’re looking for. If you’re refining your content or updating your site, you still need to identify your most important existing markets so that your new content maintains focus. Effective marketing demands an emotional appeal. Poor content is often the result of marketing to reason instead of emotion. We all make purchases differently, but most of us have the same worries, concerns, and motivations. Successful content seeks to leverage consumer’s emotions to generate a positive response. Think of your favorite television commercials. Are you more likely to remember a commercial that made you tear up or laugh? If so, you already understand the power of emotions relative to marketing, and your website is no different. How to generate an emotional response from your market. There are a many different ways to elicit an emotional response from a reader. Some are useful for marketing and others are not. What follows are a few basic concepts to get your creative juices flowing. It should also be noted that other design elements like color, layout, and photos can also be utilized in your web design for this same purpose. However, this page simply focuses on written content. Attach deeper value to your product or service. This is a powerful marketing concept used by the majority of companies. The idea is to explain what your product or service does for them, instead of just listing a bunch of features. If you’re selling furniture, you will definitely want to list all of the features that make it a quality product and a good value. But before listing your product’s features, you should identify its benefits. The deeper value of furniture lies in its connection to the home, your family, your personal tastes, your desire to entertain, and your comfort. The emotional appeal of Thanksgiving dinner with friends and family around your brand new oak dining table is far more appealing than a commentary on the techniques used to build it. Both certainly have value, but the emotional connection is proven more effective for making sales to many markets. Your product or service alleviates fear and/or pain. This is another powerful marketing tool that requires you understand your customer base. The idea is to present your product or service as one that will help the consumer overcome their fear. Effectively using this kind of marketing in your content requires that you identify the fear in an ethical way, and then show how your product or service offers a solution. If you’re an auto mechanic then you are probably aware that many consumers are afraid of getting ripped off by an unscrupulous mechanic. In your content you could identify this fear and then provide testimonials from your clients that highlight your honesty and integrity. You commonly see this marketing technique used by companies that offer financial relief from debt, or that address people’s fear of obesity by offering a diet product. Just remember when using this marketing technique in your content that a little goes a long way. You don’t want to scare off your clients; you want to motivate them to reach out to you for a solution. Eliminating buyer’s remorse before the sale is made. This concept be tougher to implement than the other two, but it is no less powerful. The number one way to eliminate regret is to effectively establish the value of your product or service. Again, understanding your market is key, because every demographic will have a unique trigger that appeals to their sense of value. A middle-aged housewife’s sense of value will be far different from a single bachelor. When buying furniture, the housewife’s sense of value may be satisfied if you can attach a story to the piece that can be retold during dinner parties for the next 20 years. For the bachelor, style, function, and economic value may be far more appealing. Your sales often rely on your ability to effectively prevent the customer from worrying they will regret their purchase. What better way to accomplish this than making emotionally investing them in your product until they just can’t live without it? Ranking a webpage requires the use of keywords and phrases, but how many can be stuffed into a single page and still be effective? There are a number of different theories concerning keywords and web page optimization, but the vast majority encourage stuffing as many keywords as possible into the content. The purpose of this blog is to explore why this approach will most often lead to failure. What is your page about? The answer to this question may seem obvious to you. If you own a plumbing business, your page is obviously about plumbing. However, the broad term “plumbing” doesn’t really cover the vast number of services that fall under this singular business umbrella. Google agrees, and its algorithms dictate that your webpage provide specific information relative to the search query of the user. In other words, Google wants to rank pages that offer valuable, specific information. This means that your page needs to be singularly focused on a specific subject if you want it to rank. So, what is your webpage about? Using the aforementioned example, “plumbing” is a word used in a variety of applications. Type “plumbing ” into Google’s search engine and you will get a wide spectrum of results including home improvement warehouses, hardware stores, DIY plumbing websites, and maybe even a handful of actual plumbers. This means that you will need to get specific when developing your keyword list. Again, think of our imaginary plumbing business. What are some of the services that actual internet users will search for? Your average home or business owner could have leaking pipe, clogged toilet, or may need to have fixtures replaced. Obviously, your keywords and phrases need to cover all of these specific topics, and anything else related to your professional field. Once you’ve identified your most useful keywords and phrases, can you simply plug them into a single page of content and expect results? Unfortunately, no. Remember that Google wants you to be an expert in your chosen field. But how can you be an expert if a single page of content is watered down with countless key words and phrases? At Linkhelpers, in most situations we recommend limiting the overall number of keyword phrases on a single page. For best results, one or two highly focused keyword phrases will give you the best chance of success. This makes sense, because it affords you the luxury of developing highly-focused optimized content on a single subject. Not only does this satisfy Google’s demands, but also allows you to provide your customers with information specific to their query (which we will cover in detail below). But what if I offer a number of different goods and services? If you have a wide range of services that cannot be stuffed onto a single page, the solution is simple. Create more landing pages, each with its own focus. While this means optimizing multiple pages on your site, it will reap huge dividends and significantly increase your profits. In the old days of the internet, the home page was the landing page, and it offered a broad spectrum of information. However, Google’s algorithms have effectively changed how people use the search engines. Because Google focuses on highly focused content, users also want to find exactly what they’re looking for with as little hassle as possible. If a homeowner has a problem with a leaking faucet, and they search for “leaking faucet repair plumber,” will they find your website? If you tried to stuff all of your keywords onto one page they won’t. However, if you have a page dedicated to “leaking faucet repair,” you are going to dominate your competition. The marketing angle, is it good copy? Discreetly using keywords is only part of the puzzle. One of the other issues with keyword stuffing is that it results in poor copy. Large companies spend billions of dollars in advertising every year. Why? Because they understand the power of marketing. Unless you have the budget for television advertising or a large print media campaign, your website is your only opportunity to market to consumers. When they land on your page, what are you presenting to them? Do you quickly grab their attention and make it easy for them to reach out to you? If you can get your prospective clients emotionally invested in your content, you will have a far better chance of making a sale. To accomplish this, you will need to identify the reasons why they seek out your product or service, and understand the reasons why they may have concerns. If your page is chocked full of keywords, not only will the optimization be watered down, but you will also lose your opportunity to emotionally invest in what’s being offered.